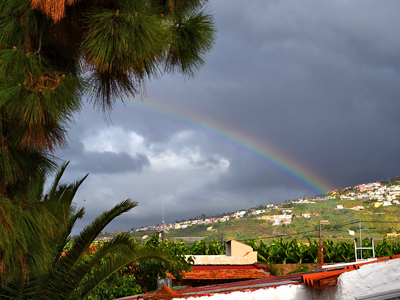 Mount Teide, the most eye-catching natural feature of the Canary Islands. 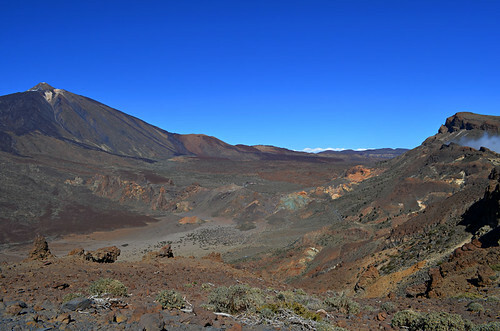 Unless you’re on the south side of Tenerife where Spain’s highest mountain tends to get a bit lost amongst the ragged wall of the crater which curves along Teide National Park’s southern boundary. 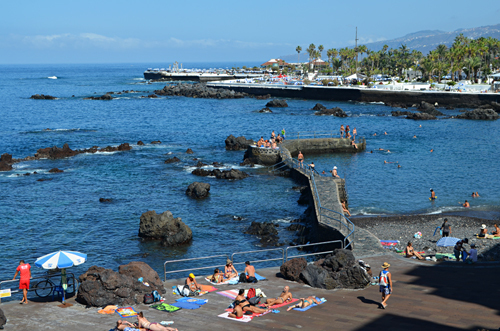 The view from other Canary Islands such as Gran Canaria and La Gomera is far more impressive than it is from many parts of Tenerife, as inhabitants of those other islands happily tell visitors. 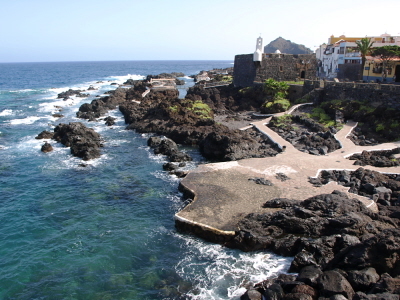 The ultimate Tenerife walking route is to climb to its peak 3718m above sea level. 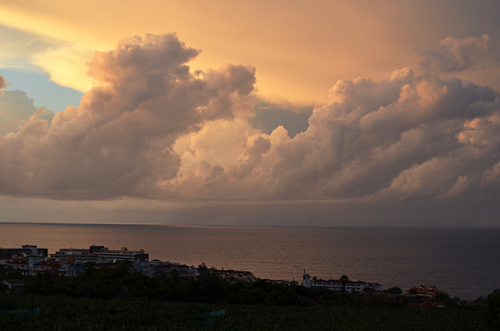 Best of all is to reach it just in time to witness sunrise break across the archipelago. That is a quite special travel moment. 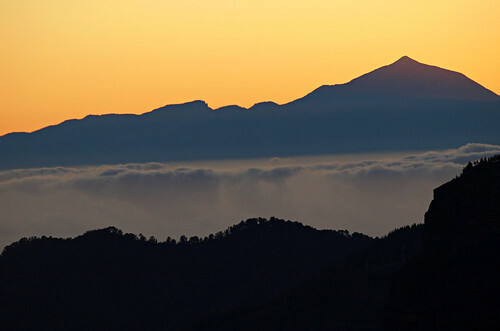 But Teide National Park isn’t just about the third largest volcano in the world. 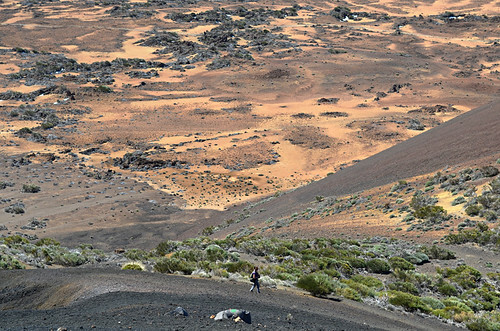 The crater which partly surrounds Teide’s bulk is 17km in circumference, its innards an explosive legacy of volcanic spewing consisting of twisted pinnacles and melted rocks; glistening obsidian a’a carpets and ropey pahoehoe coils. Possibly most surprising are the colours. I’ve been in places where volcanic landscapes can be a bit samey. Not in Teide National Park where there is such a variety of colours that each Corpus Christi the alfombristas (carpetmakers) of La Orotava are able to create record-breaking, vibrant works of art using only sand and soil from the park. It is an incredible, inspirational and humbling landscape… and a treat for walkers to explore. Each route in the park offers something different, something unexpected. The Roques de Garcia are one of the island’s tourist hot spots where coaches disgorge hundreds if not thousands of people daily. But, like most places in the park, walk away from the main car park and after a couple of hundred metres the crowds diminish before you’re rewarded with a face of the barrier of ragged, surreal rocks that most don’t see. 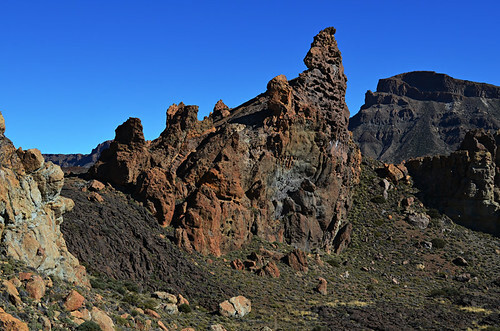 Trails climb to the crater wall itself and also to high peaks which seem like tiddlers when compared to Teide. Some wind quite easily upwards, other have you looking anxiously and pondering how even the most agile of mountain goats manages to tackle them (they’re rarely as bad as they look). The view from Mount Teide’s higher slopes certainly isn’t just a view of a cave, but you don’t get the mystical mountain itself in the anarchic panorama. Other trails might cross mustard mounds and skirt a transient lake, or pass rock palaces with hidden natural courtyards and involve sliding down soft ash slopes. 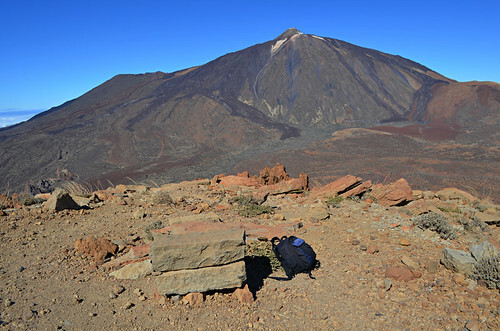 There are challenging routes and there are routes which anyone with reasonable fitness levels can manage, although it is always worth remembering walking anywhere in Teide National Park is walking at a level which is way above Britain’s highest peak. The altitude can make for breathless walking until you acclimatise. Even the least challenging routes reward with views of a landscape you’d think would require light years of travel in a spaceship to enjoy first hand, as well as occasional curios like an abandoned sanatorium. 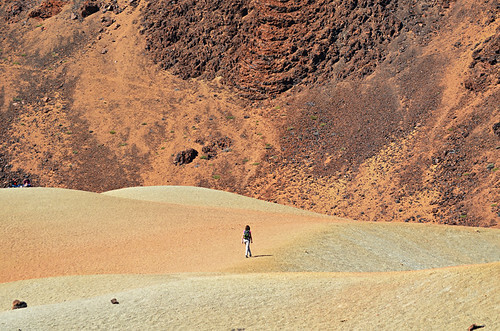 For anyone who relishes exploring on foot somewhere which is truly deserving of the term unique, Teide National Park is nature’s version of a wildly imaginative theme park, and it’s one which is far more satisfying to play in than any man-made affair. 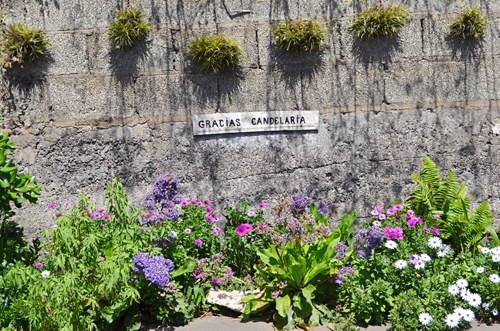 Both our Hiking Highs PDF routes and Walk this Way guidebook include our favourite walking routes in Teide National Park.